Musings by Jumpin Jersey Mike — Found the new guy! 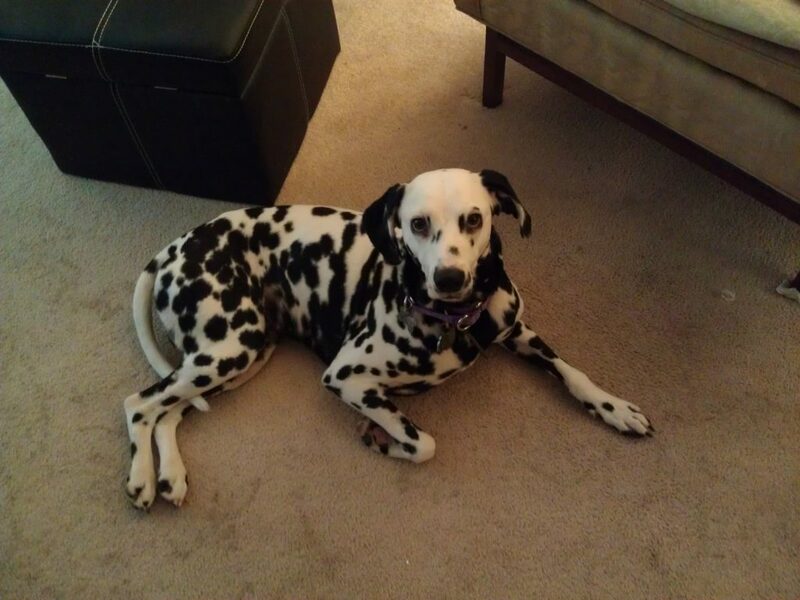 After waiting about a little more than a month I filled out an application with the dalmatian rescue group and they got back to me within a few days saying that they had a dog that might be a good match for me. I was very surprised and a little apprehensive, as it was hard to imagine that I could find another dog as nice as Joey was. After speaking with one of the volunteers and getting some pictures of the dog, I spoke to the man who was fostering him. This poor dog was found wandering in Pennsylvania without tags or a chip to identify who he belonged to. A rescue group was alerted that he was at a shelter and they passed him on to the dalmatian rescue group. The poor little guy was full of fleas, needed medical attention and neutering. After speaking to the gentleman fostering this dog, I was told that I would be able to meet him after his stitches were removed, from being neutered and that turned out to be on September 13th. So I went down to a hotel parking lot outside of Mount Holly New Jersey to meet him. They called him Simon and this youngster (he is about 1 ½ to 2 years old according to my veterinarian) seemed a good match to me. The only minus was that he was what they called a ‘Velcro’ dog, that means that he would very attached to me and not want to be separated from me at all. I have dealt with this in the past, so I adopted him. He is about 42 pounds and Black and White instead of the Brown and White that Joey was. He is what I would call a ‘Condo’ sized dalmatian and on the small size for a male dalmatian. Well after about three days he presented his tummy to me to be scratched and at that point I knew he was mine. It turns out that this little guy has Separation Anxiety and after talking with my veterinarian he was put on calming medication to help him be less apprehensive when separated from me. I see that this is getting a little long and continue this next week.